The commitment to attend was scary. Attending was life changing. Years of grief and loss were transformed with the first exercise. There was great joy in rediscovering who I was. I no longer felt alone. Until your program, I feel like we have been left to our own devices when it comes to healing the emotional wounds and I am very grateful for the opportunity to do that healing with this very special group. The lightness and happiness that we felt at the gatherings conclusion was amazing. The hand-on-heart exercise was what I think I reacted most to. To be that intimate, looking into someone's eyes while feeling their heart beat, was truly looking into their soul. I could see everything in his eyes that he's been through. I couldn't help but start to sob. Fighting for life was a need, i never had a chance to heal or work on me, now i get that chance after all these years. REGISTRATION IS CLOSED AT THIS TIME. PLEASE CHECK BACK IN MAY FOR OUR NEXT RETREAT SCHEDULE. Thank you! We learned from the earliest days of the epidemic that the greatest strength we have is one another! 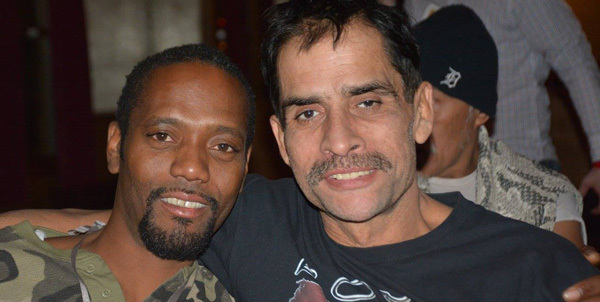 Facing HIV by joining together as one community–sharing our stories, bearing witness to one another, being inspired by each others courage and resilience is profoundly healing. At this retreat we will come together as a diverse community of people affected by HIV, both positive and negative, to learn from one another. We gather as women and men, LGBT and straight, younger people and elders, diverse ethnicities, newly infected and long-term survivors, those who have lost a loved one and anyone who feels moved to join. Our community is rich with diversity. Through our sharing with each other we discover and appreciate the unique challenges individuals from various communities face. And we will also begin to appreciate the profound, shared experience of our lives as impacted by HIV. So many of the challenges of HIV can lead to isolation, loneliness, grief, or shame. But we can change that through the power of coming together. By joining we not only have the opportunity to heal ourselves but to heal one another. We make a difference by being together and listening with open hearts. This retreat is experiential, engaging the mind, body and spirit: the whole person. We will grow from sharing our stories, music, reflection, walks in nature, writing, hugs, laughter and probably a few tears. The setting itself is beautiful, surrounded by hills and greenery. There will be time for play and relaxation with a talent show and a dance and in a wonderful pool and hot tub too! Please join us–you deserve it! WHO? - EVERYONE! A special invite to women, people of color, trans-people, young adults, elders and HIV-negative people. This gathering extends a heartfelt invitation to both HIV-negative and HIV-positive men, women and trans-people who have lived through and been profoundly impacted by the AIDS crisis. Each of us has powerful experiences to share with one another. Our healing relies on all of us coming together. 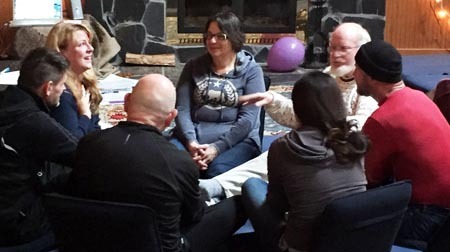 Please note: This is a workshop requiring full participation involving sharing, experiential exercises, group activities and connecting with one another with the goal of mutual healing. WHY GATHER? - There are many answers to the question ''Why gather now?” One of the clearest is that we learned from our response to the epidemic that joining together in community can be profoundly healing. But we'll gather for other reasons as well, some shared, some personal. We’ll honor one another and what we experienced as well as remember those we lost. We’ll join because being with one another can help make sense of our experience, both the stories of suffering but also those of the wisdom we gained. Arrive after 3pm on the first day. Dinner is at 6pm with program starting at 8pm sharp. Retreat finishes at 3pm on last day. Please plan to stay for the entire retreat. Being Present - Because of the expected intensity of the experience and in honoring our desire to be fully present for one another, we ask participants to refrain from alcohol and drugs immediately before and during the event. Our experience is we have greater clarity, group cohesion and presence in a drug and alcohol free environment. MORE INFO - This retreat will be facilitated by Gregg Cassin and friends. Gregg is a long-term survivor of HIV. 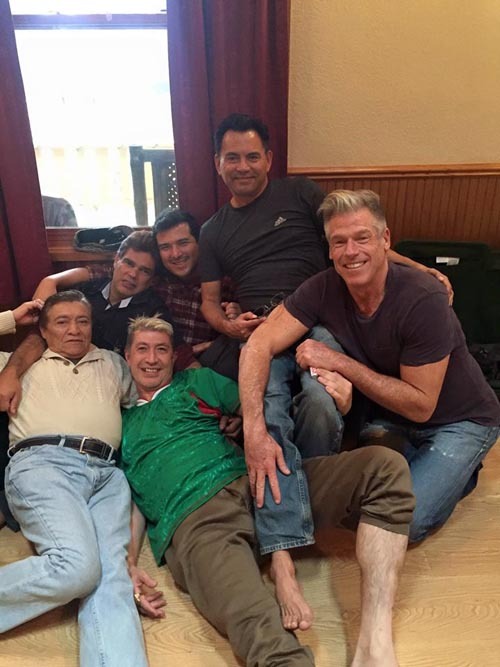 He's been leading retreats and workshops for the LGBT/HIV, and at-risk youth communities for over 25 years. 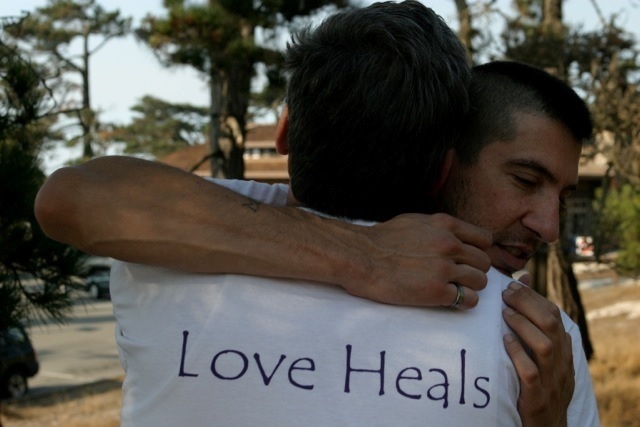 During the height of the epidemic Gregg founded the Healing Circle, and the San Francisco Center for Living, as well as leading conferences nationally with AIDS, Medicine and Miracles. Gregg is now a staff member of Shanti. 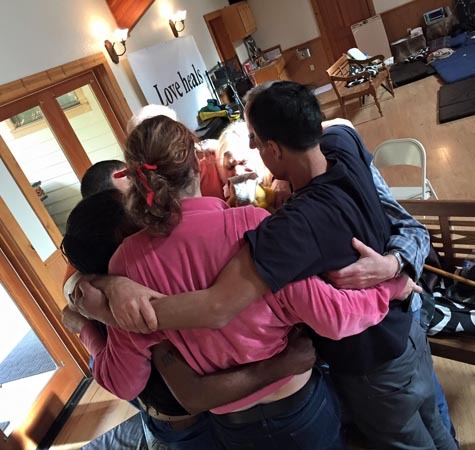 This retreat is an experiential workshop. Participants are encouraged to be engaged with the community gathered. “Gregg Cassin is a truly masterful facilitator. He is not one of those slick or over-polished personalities. Rather, he is genuine, warm, and humble—with a wicked sense of humor that puts people at their ease. He makes people feel that he is “one of us.” He has that ability—so rare among professional facilitators—to speak from his heart, respond to the real needs of a group in the moment, and make it safe for others to speak honestly. Indeed, I have never seen anyone who can help a group “open” so effectively, making it instantly safe for them to explore even sensitive issues with both kindness and compassion.”-- Martin Boroson, Author, One-Moment Meditation: Stillness for People on the Go. Registration is now closed. For more information, please email gcassin@shanti.org. Priority is given to those attending for the first time. Slots offered to people returning (not your first time) space permitting.